$100 million from Frank Batten Sr. The late David A. Harrison III (College ’39, Law ’41) was one of the University’s most generous alumni during his lifetime. He made an even greater impact on the institution after his death. Distributions from his 2002 estate and a previously established trust provided the University with $64 million, most of it for endowed professorships in law and medicine. Harrison also created a trust in excess of $50 million that the University will receive in 20 years. In 1999, the Darden Graduate School of Business received a $60 million gift from Frank Batten Sr. for entrepreneurial leadership. The funds created the Batten Institute, which succeeded the Batten Center, established earlier with a $13.5 million challenge gift from Batten and his family. The University received a $52.6 million bequest from Ward Buchanan (Law ’14) in 2002 to create an unrestricted endowment fund for the University Medical Center. Known as the Buchanan Fund, the endowment is invested to generate support for the University’s hospitals and clinics. Businessman and philanthropist John W. Kluge gave the University of Virginia Foundation his 7,378-acre Albemarle County estate in 2001. The gift, valued at more than $45 million, included historic Morven Farm, 10 working farms and more than two dozen buildings. Kluge’s desire was that the University develop the core of his property—the 749-acre Morven Farm—for educational purposes, and sell the remaining properties to build an endowment to support the facility. 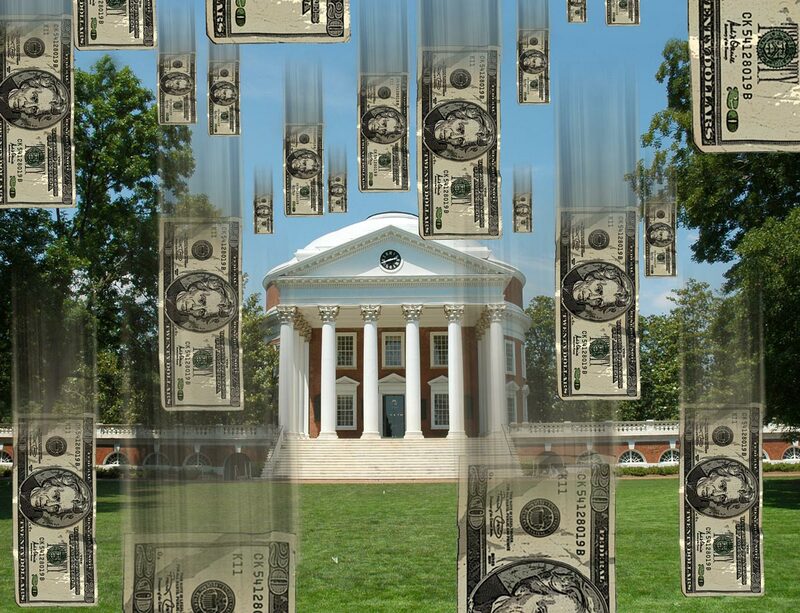 The Ivy Foundation of Charlottesville, chaired by William C. Battle (Col ’41, Law ’47), gave $45 million to the University of Virginia Health System in 2005 to expand laboratory space for biomedical research and to speed the translation of new discoveries into effective treatments and cures. The gift also supports new facilities for clinical research and patient care in the areas of cancer and children’s health.